I have some news I want to share. This may not be huge by any means, but just something I’m a little excited about. 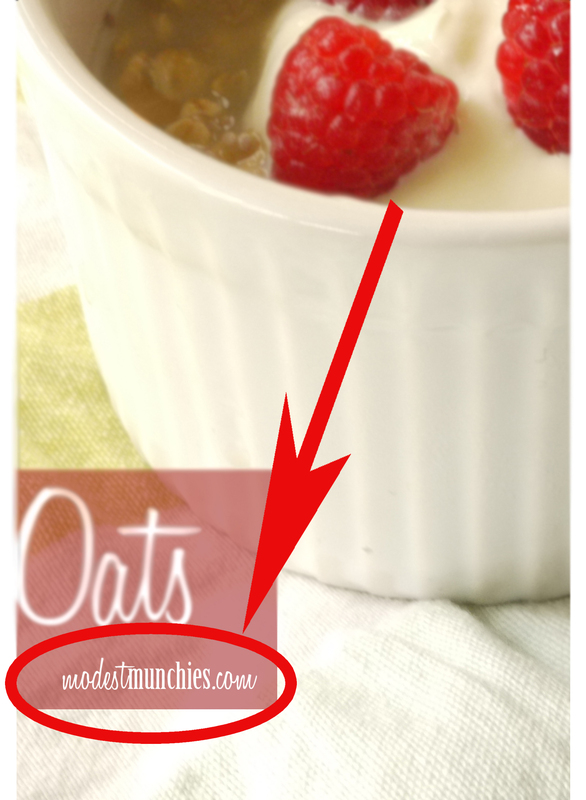 I’m not sure if many of you have noticed but if you look at the bottom of my photos, you’ll see the watermark ‘modestmunchies.com’. If you look at your browser, it says something different, doesn’t it? I have planned for a long time to move to my own site and with the help of some tech people it looks like this plan is finally coming into fruition. Not only will my blog be on it’s own domain, it’ll also be completely revamped. Aside from a new and improved site, I will be starting a new section on the blog called ‘Modest Mummy’. Being a mum and a qualified teacher, I am constantly trying to find ideas and activities so I thought I’d share these with you. The blog will no longer just be recipes, I’ll be broadening it to include crafts and activities, cleaning and organisation and some other general tips and thoughts. I hope I don’t lose any of you in my big move to my own domain, my tech people are ensuring they move all of you along with me. So keep a lookout for my new site as well the Modest Mummy posts, it’ll all be heading your way soon, in shaa Allah. 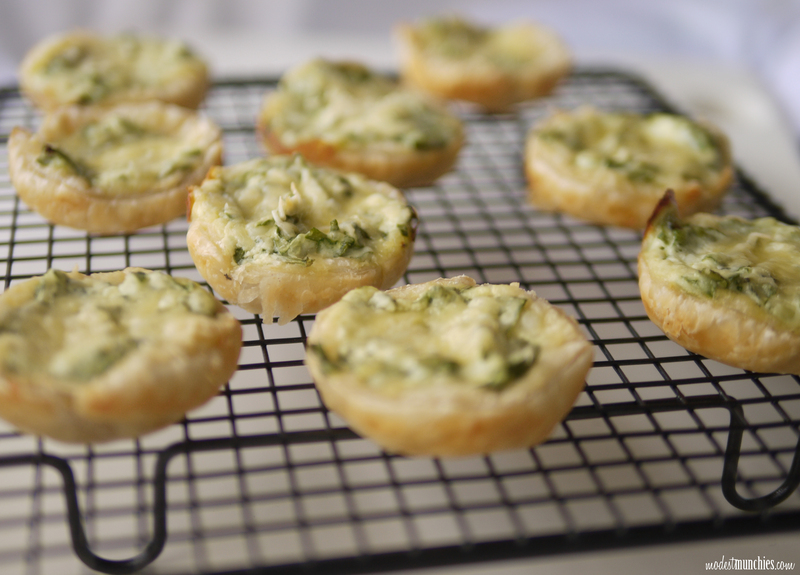 Here’s a recipe I’ve had tucked away from way back in Jan, Spinach and Ricotta tartlets. Spinach and ricotta has got to be one of my favourite savoury flavour combinations, I love it in tart form, in a pie and my absolute favourite would have to be spinach and ricotta cannelloni. Give this recipe a try if you’re a lover of spinach and ricotta too. Pre heat oven to 200c and lightly spray 2 muffin pans. Use an 8cm round cutter to cut circles from the pastry (8 pieces from each pastry sheet). Firmly press pastry circles into muffin pans and pierce each piece a few times with a fork (piercing the pastry ensures it does not rise more than necessary). Place muffin trays into the oven. In the meantime, finely chop the spinach and place in a bowl with ricotta, egg and salt, give this a good stir and set aside. Remove pastry from the oven once lightly golden (about 6-10 mins) and place half a tablespoon of the spinach and ricotta mixture into each pastry tart, top each tarlet with a little of the grated cheese and place in the oven for 20 minutes. These spinach and ricotta tartlets make a great starter or snack, crispy on the outside and smooth and delicious on the inside. Enjoy! I’m sorry, I have been on a serious hiatus! I can’t believe the last time I posted was in January. Between completing my Post Grad in Teaching and just the hustle and bustle of everyday life I just haven’t been able to get back onto the blog. I am back for now though. Happy New Year. Hope you all had a great time. New Year’s is always a busy time for us, my son’s birthday falls on New Year’s day and our Wedding anniversary follows the day after. This year we celebrated the little man’s birthday and our anniversary in Melbourne, it was tiring to say the least. We visited the Melbourne Aquarium and Melbourne Museum, we also went on a tonne of tram rides and on a horse driven cart as well. We did a walk through of the Queen Victoria Market and a few other shopping spots. We also ate and ate and ate, hubby mainly ate food, I did too, plus cake, lots of cake, and then some more. Needless to say, my first resolution for 2013 is a detox, and hopefully some weight loss too. 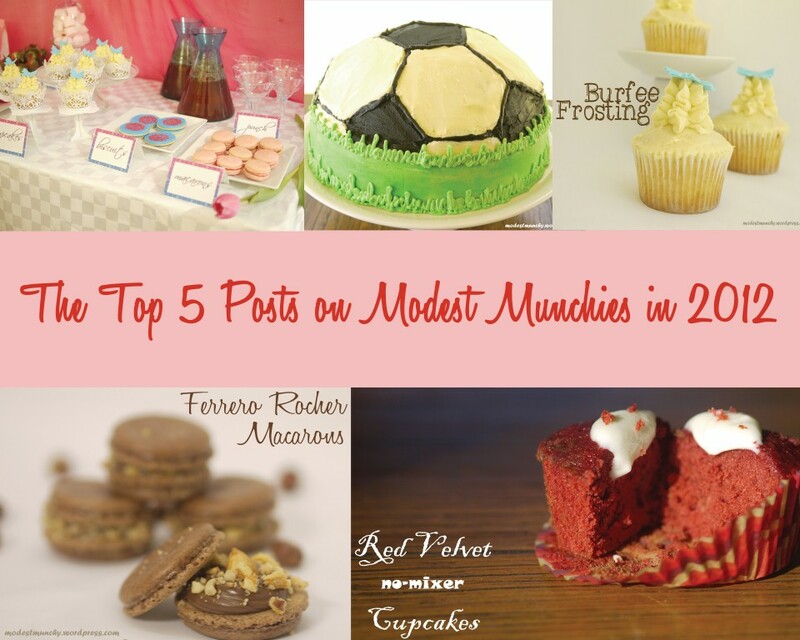 For now, let’s have a look back into Modest Munchies year of food blogging, these are the top 5 posts for 2012. 6. A new improved site. 7. More interaction on Social Media. 8. To post more often and more consistently. 9. To host giveaways and competitions. I’m sure there’s a few more that I can’t think of at the moment, but I think those 10 are good to work towards for the moment. To a new year and more food blogging, hope you’ll come along for the ride.